03 August 1986 photo of 15CA no 2055 as plinthed at the Rustenburg railway station - photo provided by kind courtesy of Richard Niven. 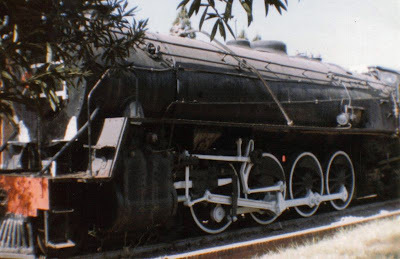 Feb 1994: This photo provided in 2010 by kind courtesy of Ken Livermore, Hon. 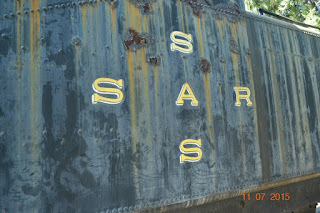 Secretary of the NBL Preservation Group. 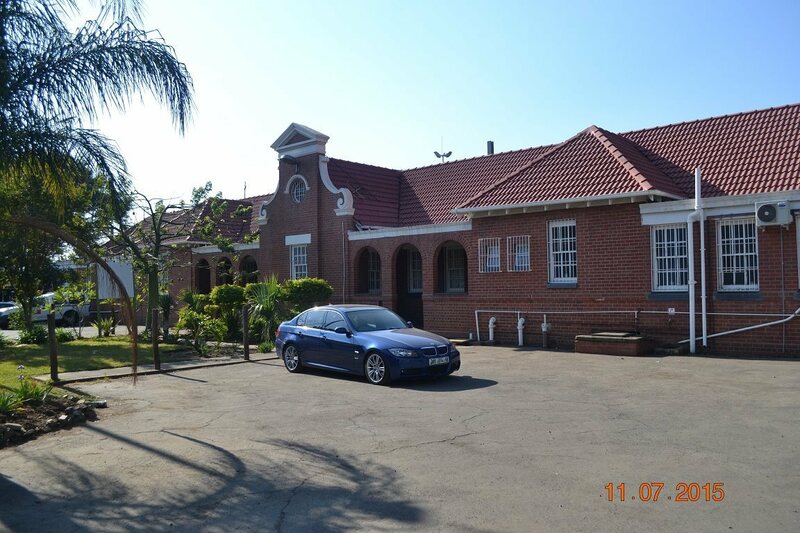 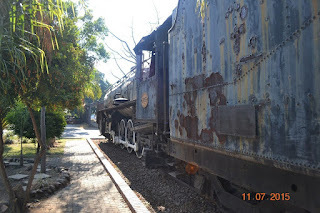 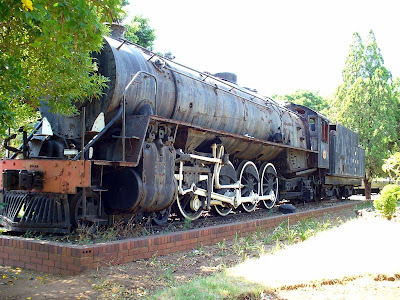 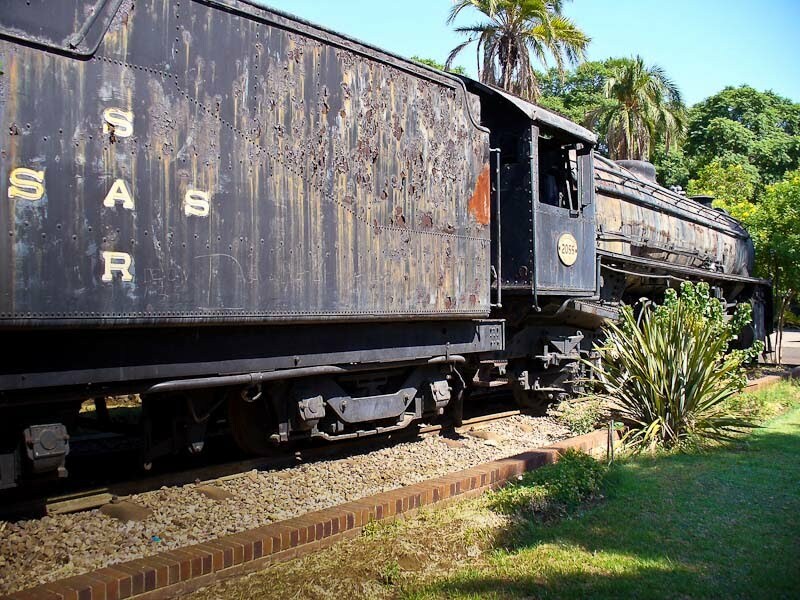 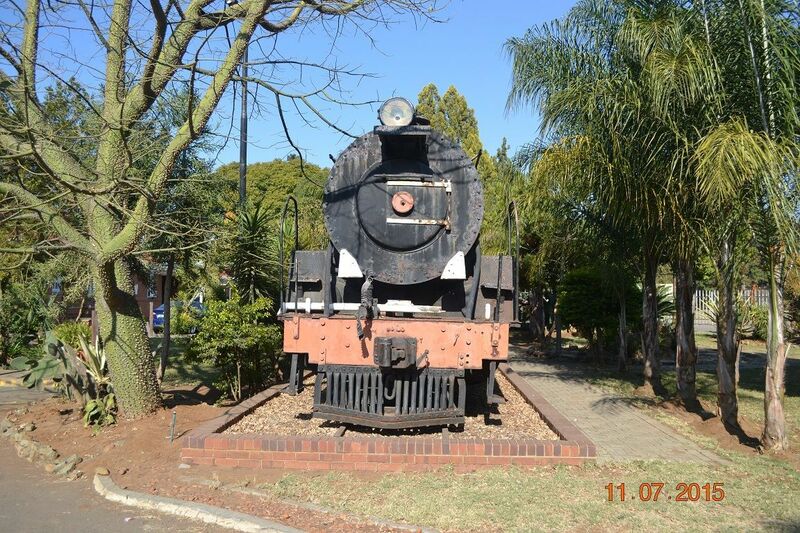 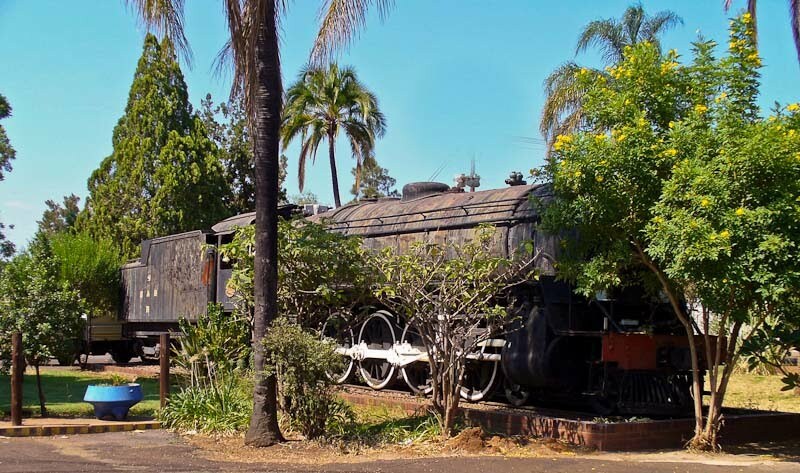 In April 2007 John & Jacque Wepener reported to "ON TRACK"
Next we visited Rustenburg station. The station is now fenced off and access is gained through a security check point. 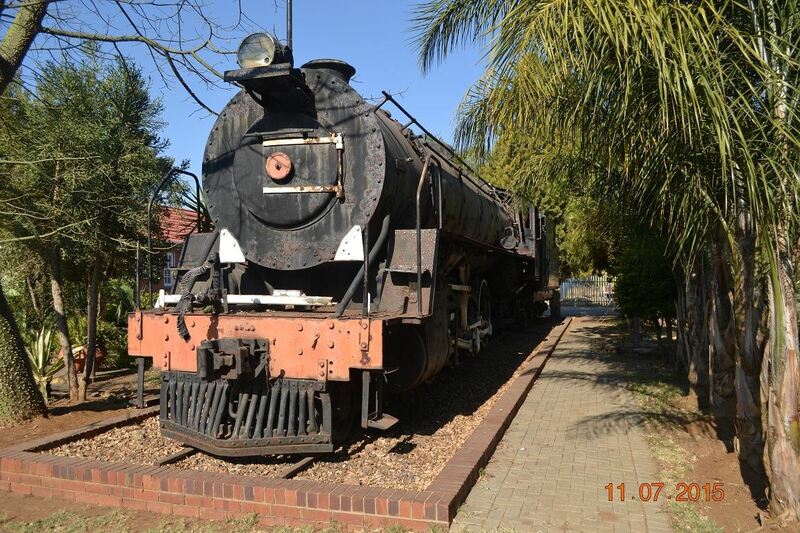 The station still looks remarkably good and there were plenty of goods trucks in the yard. Two trains with 7E's (pantographs down) at the head were facing East. 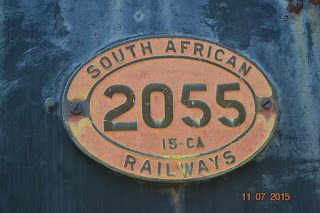 March 2007: photo courtesy Jacque & John Wepener. 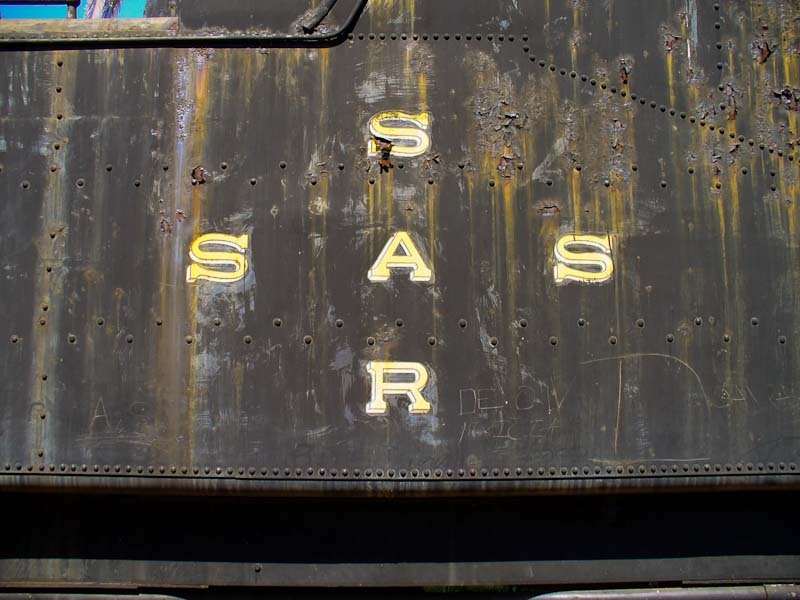 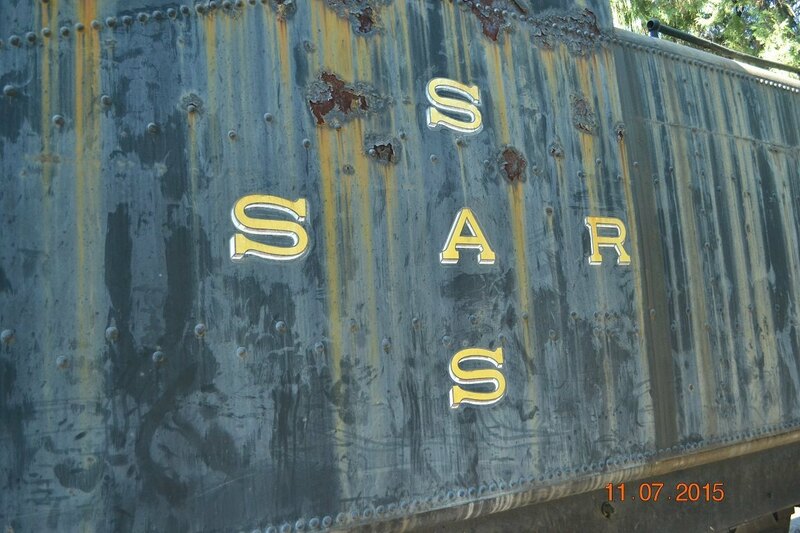 and faded yellow SAR/SAS lettering looked a sad sight with faded / rusted black paint. 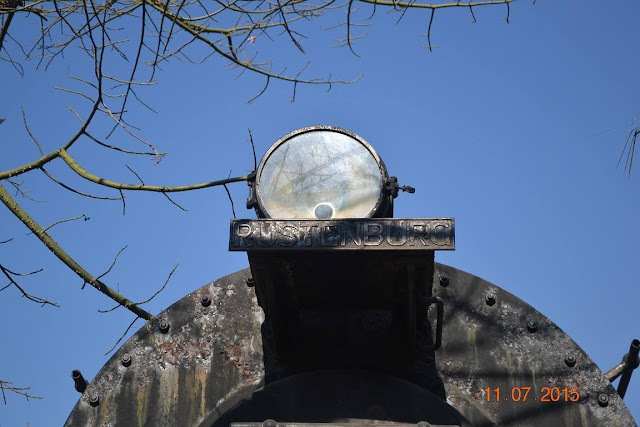 A short time after their introduction, the Class 15C frames began showing signs of cracking. 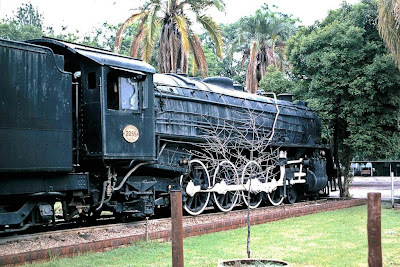 Accordingly a similar locomotive, differing mainly in the design of the frames under the firebox, was ordered from the American Locomotive Co (Alco). Twenty-one of this type were delivered in 1926 classified Class 15CA, the "A" indicating the manufacturer, Alco. Further orders of the 15CA were placed with Alco and Baldwin of the USA, Breda of Italy and the North British Locomotive Co. Eighty-three engines in all were delivered between 1926 and 1930. 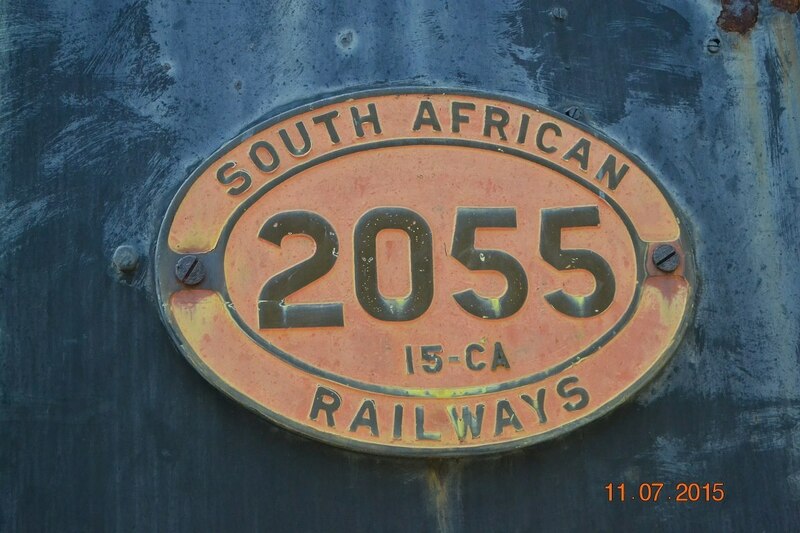 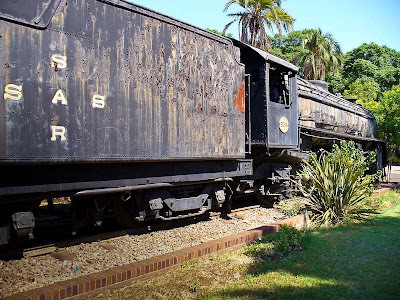 They were initially confined to the Cape Town-Johannesburg line, but like their half-sisters (the 15CBs) were later used through the Free State until transferred to the eastern Transvaal system where they worked out of Pretoria to Pietersburg and Witbank. 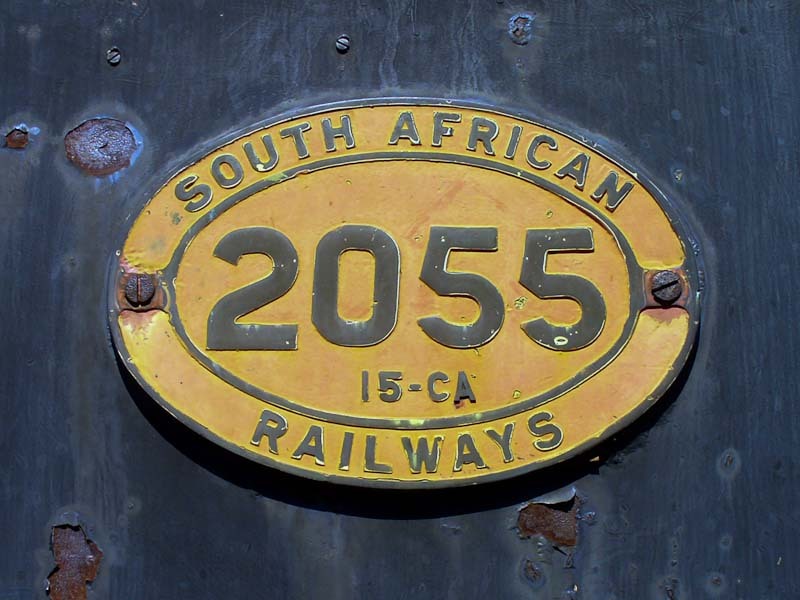 A few were also sent with the Class 15CB to Natal in the 1960s. Most of this class was still in service in the early 1980's. The following images are kind courtesy of Danie Botes. 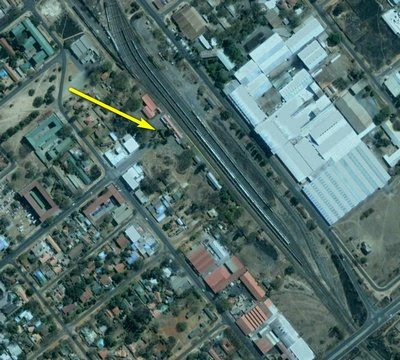 Google Earth 2004 photo showing the locomotive's position in the station forecourt.